Yes – Jugais, for iPORTWINE.COM site, put in place a set of secure procedures to protect transactions and information from our customers and users including the latest security protocols for online payments to protect your data. Yes, please contact us during normal working hours in Portugal for the following telephone numbers: (International: +351 238 609 892). I do not want to go into details of my credit card online. Can I still place an order? Yes – Just select an alternative method of payment through the ATM by ATM-payment option (receive an email with the Entity and Value Reference Data) or via bank transfer to NIB indicated in the payment process when you are making your order. You can still contact us; we will help you to choose the payment method that best fits. Yes, we encourage and we guarantee a delivery system that favours the delivery of gifts in alternative addresses. Just enter the name and address of the person you want to surprise that and we will deliver your order to the address indicated in the purchasing process, in your shopping cart. Can I send a gift without sending a bill? 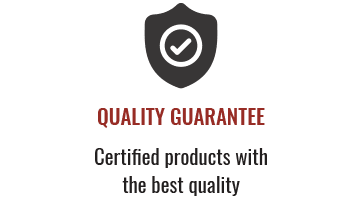 Yes, we guarantee that the invoice is sent to you at the billing address and the gift is delivered to the address indicated on offer. If you wish, we will include a write up for your message-transcribe your message – on a postcard, which will be delivered with your order. Just enter your message in the information area when placing your order. Can I send a message with my gift? Yes, this is one of our concerns with the quality service that we want to ensure our customers. Just enter your message in the information area when placing your order; we will transcribe this message to a postcard and your friend will receive your message along with your order. How can I redeem discount codes? It’s simple and easy process to redeem a discount code. In your shopping cart, just put your active code and click ‘apply’ to qualify for this promotion code. Have you ever imagined the joy and happiness of someone to receive a gift whose age corresponds to his birthday? A special wine for someone very special. Discover this unique and original birthday gift and guarantee a success that will be remembered forever. Is there any area of gift suggestions? Yes, all of our website and products are designed with this concern, since all are suitable for gifts. However, we have a section for ‘gift ideas’ that can see, and will see you will find just the right gift. My orders can come wrapped in gift paper? No – unfortunately not because our priority is with the sending, safety and conservation. However our cartons or wood, are very beautiful and work great as this, although not wrapped with paper. However in special cases, can you give us that indication at the time of purchase, in the notes on your order box, and we will try to meet your special request, although we cannot guarantee this service. Transportation costs vary depending on the destination country and weight of your order. See details on shipping charges section on product card or in your shopping cart. For which countries you ship? 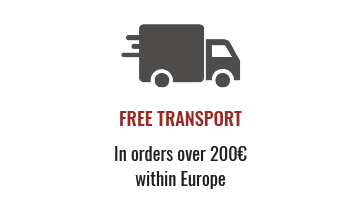 We ship to all destinations in the EU – European Union and several countries around the world, including Canada and South Africa. There are some countries, which due to their geographical specificity are not covered, yet, but we will make every effort to make our portal as global as possible, so that service can reach you wherever you are. My country is not in the list of countries? There are some countries, which due to their specific geographical or legal requirements of these countries still are not covered, which already regret. To help us assess whether there are conditions to be able to add this country to the markets where we are, and we can look for alternatives in order to fulfil your request, please contact us by exposing your situation, so we can help. The express delivery company we work, ensures that your orders are handled with priority for any part of the world. Times may depend on the country to which they are addressed, and may vary 2-9 business days. You can track your order via the links that you receive after your order is dispatched, on the DHL or GLS, carrier companies. By placing your order, you will receive an email with the necessary details to monitor the shipment of your order, which you can also see through the access to your account. Still receive the order code and link to access the DHL websites so that can track your order. No – You can order just one bottle if that is your desire. Yes – For reasons of logistics and transportation, orders over 50 kg should be treated specially so please contact us so that we can see what the best solution for delivery is so that we can guarantee a level of service excellence that is our commitment to you. On the other hand, for orders of more than 2,500 euros, should similarly contact us so that we can safely guarantee the shipping of your order. 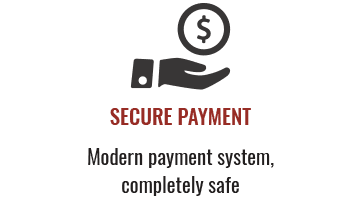 For security of the payment system, you cannot transact in excess of the stated value. Before the dispatch, all of our products are carefully checked and take all the precautions so that shipping is done safely. In case your order will not be delivered in the best condition, please see the Shipping & Returns section point on the damaged parcel.